Former MK Gidon Sa'ar reiterates call for IDF to strike Hezbollah to prevent terror militia from growing stronger. Former Interior Minister Gidon Sa'ar reiterated that Israel should carry out a pre-emptive strike against Hezbollah in order to prevent the terror militia from growing stronger. Hezbollah currently possesses over 150,000 thousand missiles, more than most NATO countries. 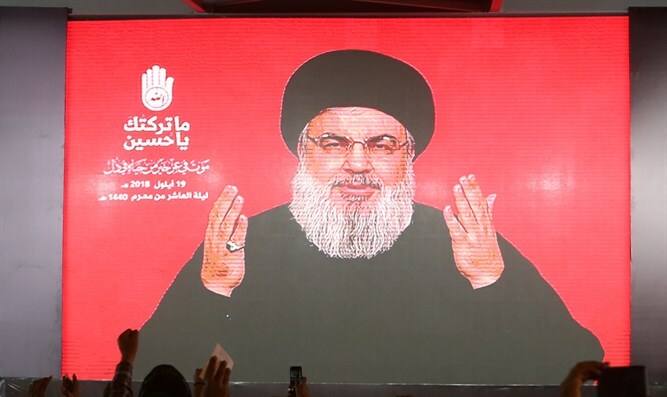 Senior defense officials have said repeatedly that Hezbollah is now Israel's major threat and predict that hundreds of Israelis will die in the next war between the two sides. "Hezbollah has established missile precision factories and turned long-range heavy rockets into missiles that can strike anywhere in the State of Israel. Imagine that all our military and civilian facilities and Ben-Gurion Airport suffered direct hits," Sa'ar told 103FM on Friday. Sa'ar added that despite the loss of life a pre-emptive strike is liable to cause, the alternative was facing a militia with long-range rockets with pinpoint accuracy. "We have to ask ourselves whether we want to wait and meet with Hezbollah when it has a qualitative strike capability on the civilian and military infrastructures of the State of Israel," Sa'ar said. "Experts say that every precision missile causes damage equal to about 10 heavy 'dumb rockets. The Iranians have a certain goal - the accumulation of power around us, even in the context of establishing themselves in Syria and Lebanon, and reaching a qualitative strike capability in order to blackmail us," Sa'ar continued. The Iranian-backed Lebanese Hezbollah has been building factories in the heart of Beirut to convert missiles into highly-accurate precision weapons capable of striking sensitive Israeli sites. Upon deciding to convert its massive 150,000-strong rocket arsenal to missiles with pinpoint accuracy, Hezbollah chose to transfer its sites to the heart of Beirut in order to deter Israeli airstrikes. Israel has repeatedly reiterated that it will not allow Hezbollah to obtain highly accurate missiles that would threaten sensitive Israelis sites and has been escalating its threats vis a vis Lebanon. Sa'ar made similar comments earlier this week at The Jerusalem Post's Diplomatic Conference, where he allegedly said that Israel was approaching the point of no return vis a vis Lebanon. “If an Israeli preemptive strike is not carried out in the near future, the window of opportunity may be closed," Sa'ar said. "This means that future attack might be far less effective and will involve a much heavier price."